Description: Paper Accents Craft Tags can be used in many ways. Decorate with rubber stamps or embellishments and use them for scrapbook pages, photo albums or card making. Or use them plain for labeling things at a sale or when storing household or antique items. 80 lb Cardstock. 30% Recycled paper. 2 1/8 x 4 1/4 inch. Kraft. 25 pc. 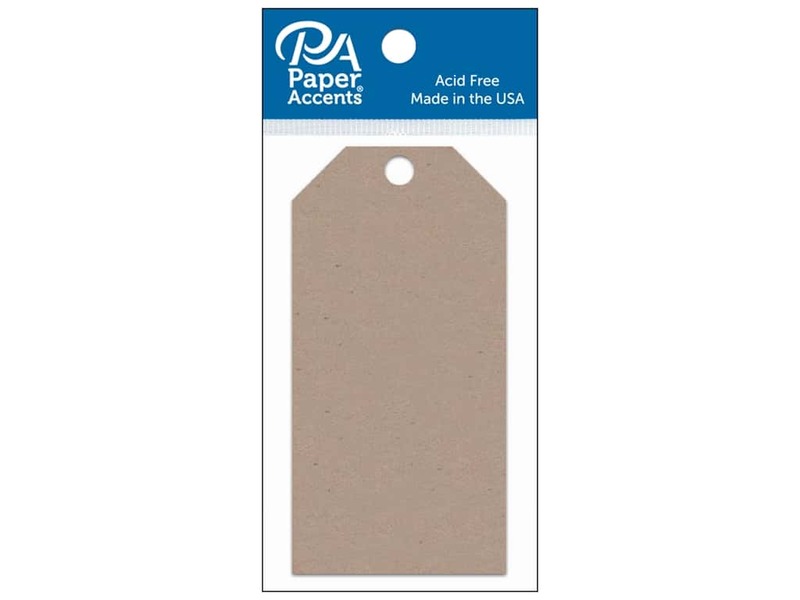 Paper Accents Craft Tags 4.25" Kraft 25pc 5.00 out of 5 based on 2 ratings. 2 user reviews.